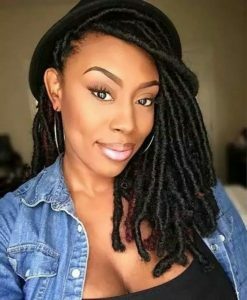 In recent years, faux locs have quickly become one of the most popular protective hairstyles among black women. They are pretty, versatile, and relatively easy to maintain. 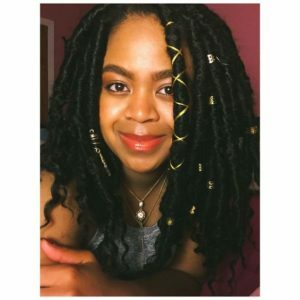 One of the benefits of protective styles is having additional length to play with; however, short faux locs are just as cute and serve the same purpose as a waist-length protective style. 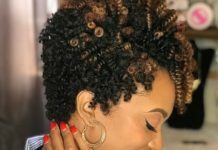 How short you’re able to go will, of course, depend on the current length of your natural hair. As a general rule of thumb, your faux locs need to be at least a couple inches longer than your natural hair in order to seal the ends without damaging your real hair. 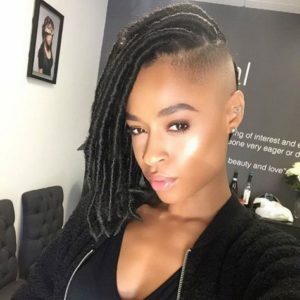 If you are going for the most natural look, choose the type of hair that best matches your hair texture. 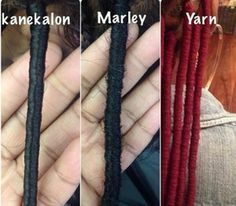 As far as synthetic hair, Marley hair has a kinkier texture, while Kanekalon hair has a shinier, smoother appearance. Acrylic yarn can also be used to create faux locs; this is an especially good option if you want your faux locs to have a bright, funky color. 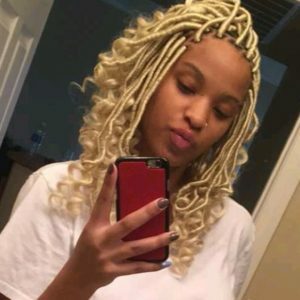 For obvious reasons, human hair is also a good option if you’re going for the most natural look. 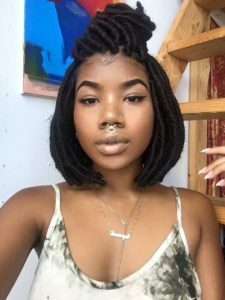 Faux locs may have a stiff feel when first installed, but they will loosen up with time. 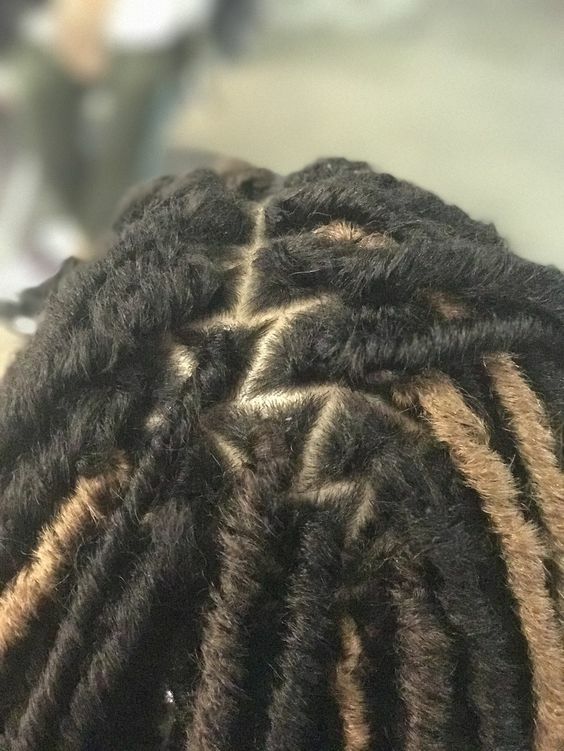 In general, it’s a good idea to get faux locs installed by a trusted stylist who will prioritize the health of your hair. While they can be installed at home, it’s generally best to do this only if you’ve installed other protective styles before. The process takes several hours, so it is not for the faint of heart. 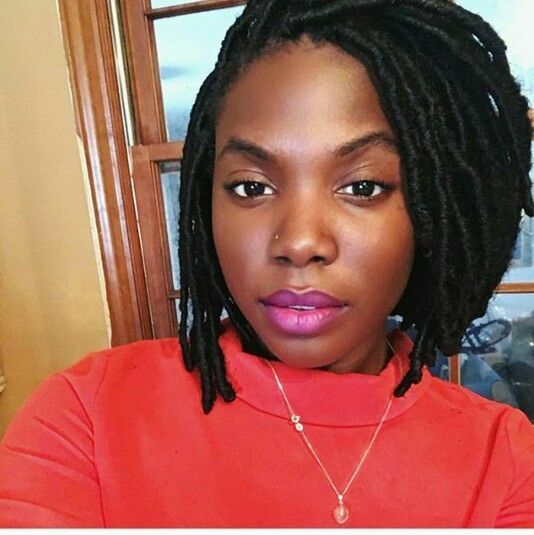 There are several YouTube tutorials that can show you how to install faux locs yourself. 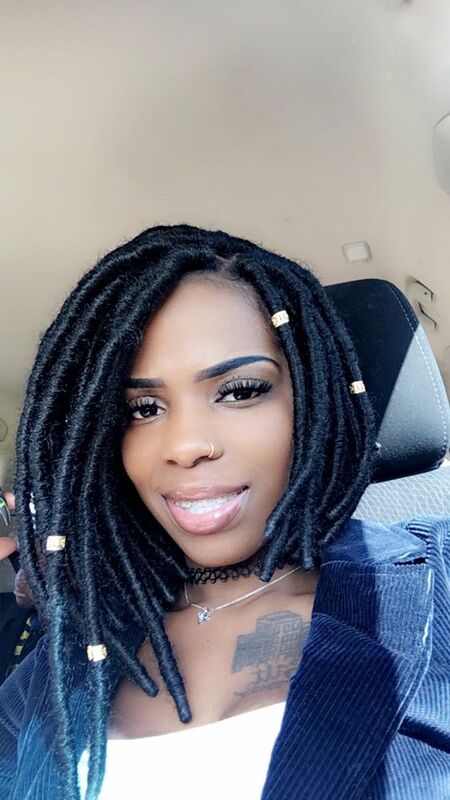 Short faux locs generally have a short installation time, but still be prepared to set aside several hours to complete the process. 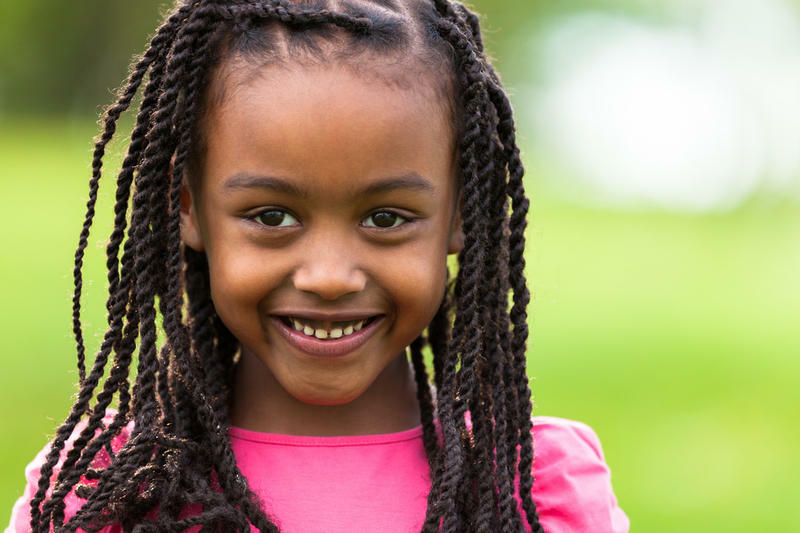 Whether you do it yourself or go to a stylist, be sure to start with freshly washed and conditioned hair. This is an important step that should never be skipped. 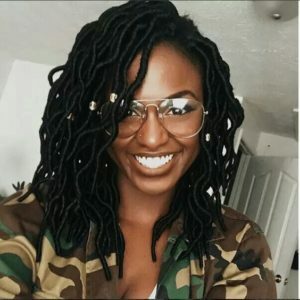 Faux locs generally require more added hair than many other protective styles. 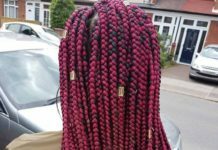 This is because the hair is usually braided or twisted first, often with added hair, then wrapped with the braiding hair of your choice (human, synthetic, or yarn). 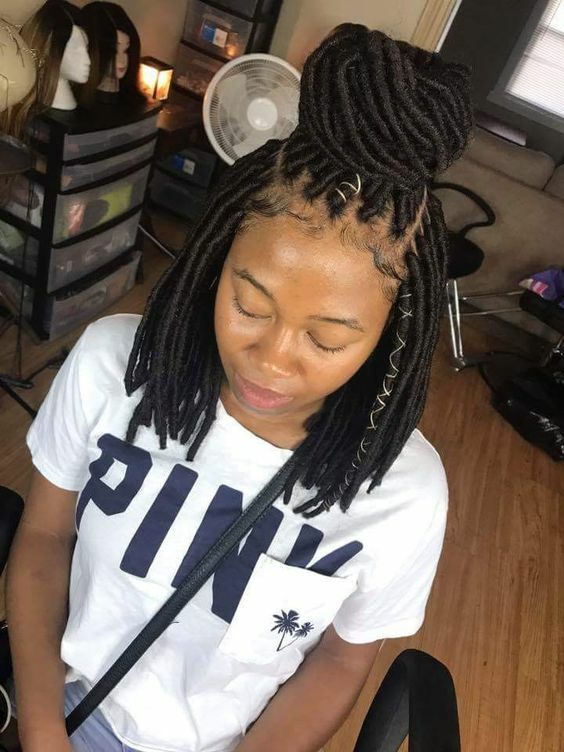 As a result, faux locs can be heavy, which can cause headaches, neck pain, and/or tension to the roots, which is why you should always be very careful when installing this style. Crochet locs are another option; you can purchase packaged faux locs and install them using the same method you’d use for crochet braids with Marley hair, for example. 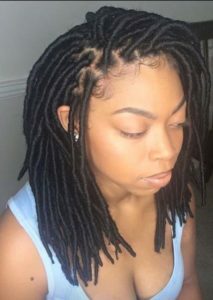 Fortunately, short faux locs don’t require as much hair as long ones, making them much more lightweight. 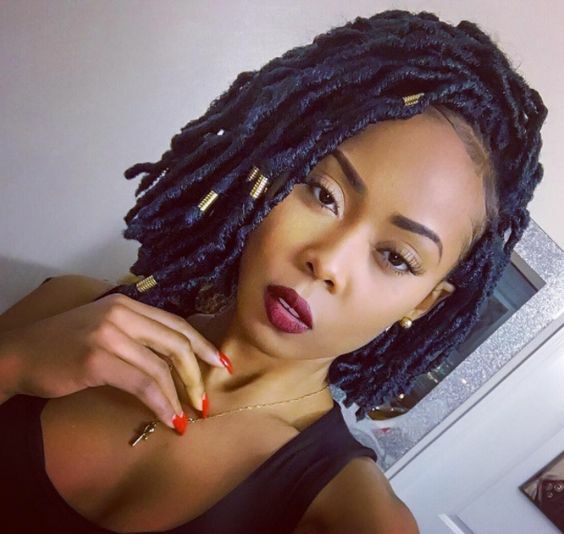 Here are 30 ways you can style short faux locs. These short curly faux locs are styled into an asymmetrical bob: a fun, cute way to style short faux locs. 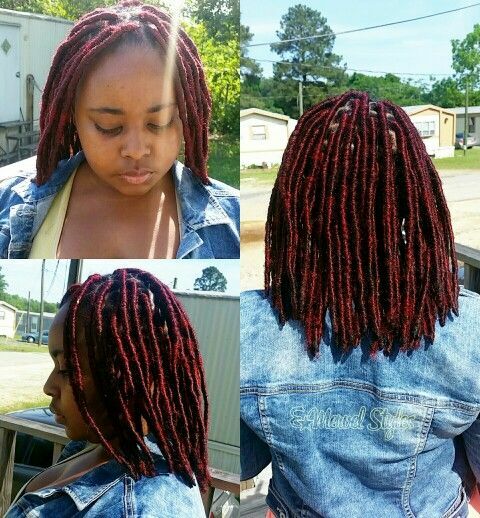 These bright-red, shoulder length faux locs are sure to turn heads with their vibrant color. 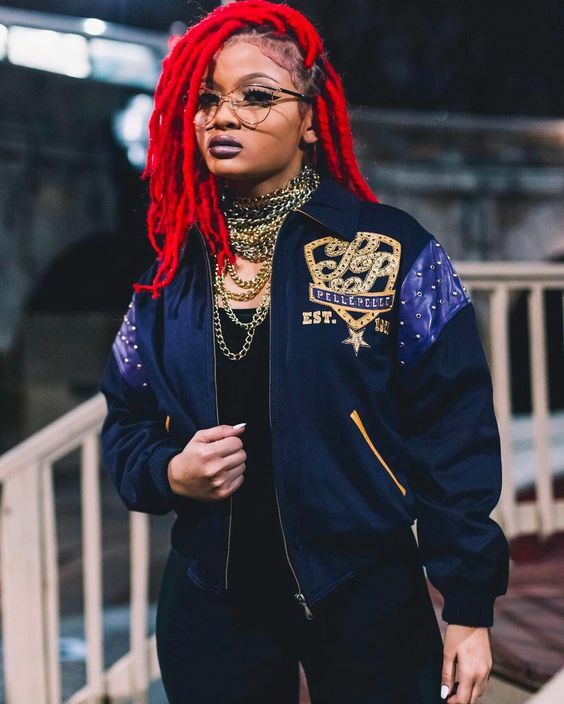 You can use red synthetic hair such as Marley hair or acrylic yarn to achieve this look. These gorgeous shoulder-length burgundy faux locs are accessorized with silver cord and beads for a little-added flair. Gold beads adorn these gorgeous bob-length faux locs. Hair accessories are the perfect way to jazz up almost any style. These auburn, bob length faux locs are great if you want a subtle, sunkissed color with a natural appearance. These beautiful goddess locs fall right below the shoulder: an ideal length for almost any face shape. A little hair jewelry gives these locs a bohemian vibe. 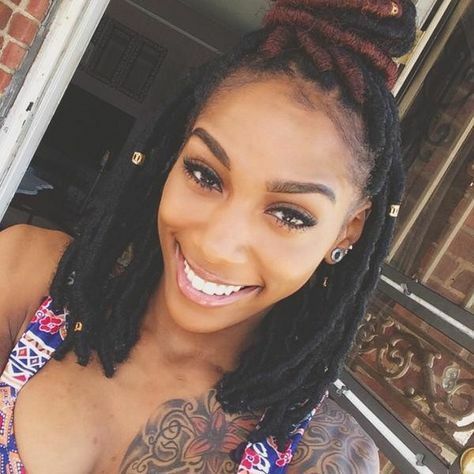 These shoulder length goddess locs are perfect if you like thick locs. 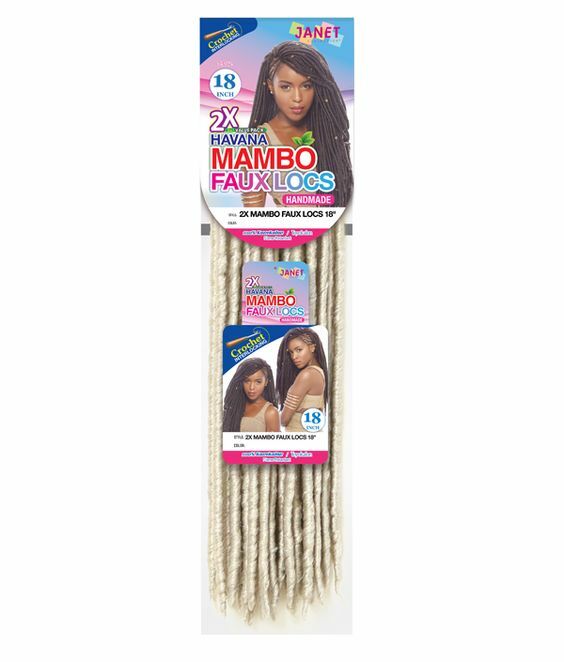 Gold beads and cord accentuate the beauty of these faux locs. These faux locs fall right around the shoulder in subtle layers. 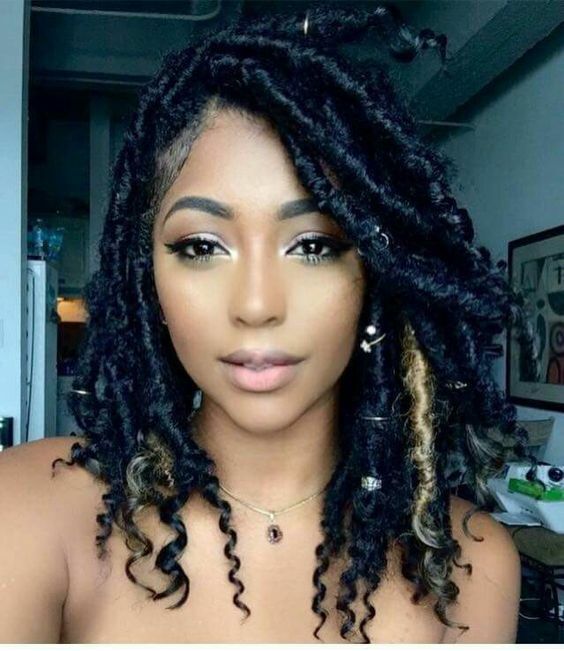 Faux locs this length are long enough to be styled in several different ways, but a simple side part is a classic look that never gets old. 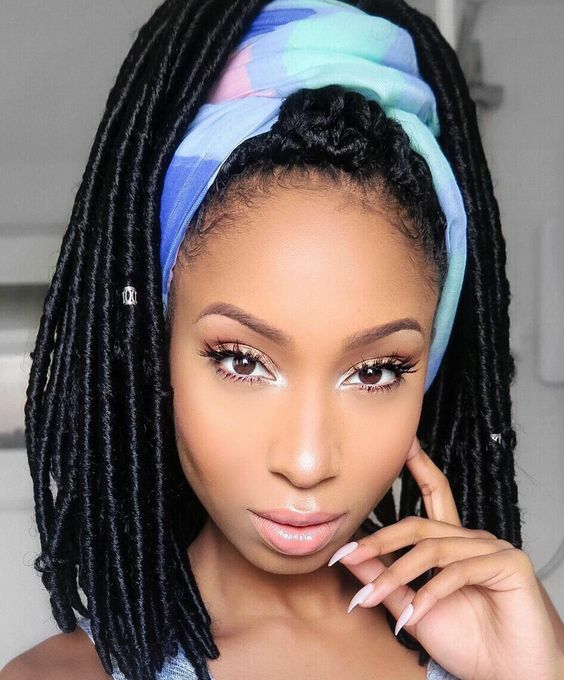 These pretty faux locs are styled into a simple high ponytail with the help of a colorful scarf. 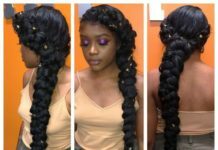 This is an easy way to create a chic style that only takes minutes to achieve. These gorgeous faux locs fall right around the shoulders. This is an ideal length if you like the look of a long bob (or “lob”). These two-toned faux locs boast a unique color combination. This stacked bob (slightly longer in the front than the back) is styled into a fun half up half down look. These pretty faux locs are styled into a classic bob. A single cowrie shell at the end of one loc proves that it doesn’t take much to make this style stand out. 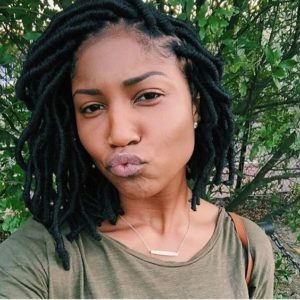 This classic bob length proves that faux locs don’t have to be long to be cute. 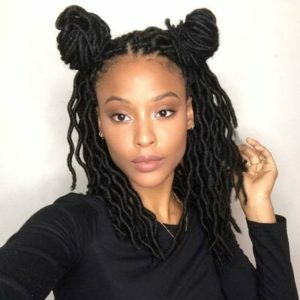 This is an ideal protective style if you have very short hair and want some length to play with or if you just want a break from daily styling. 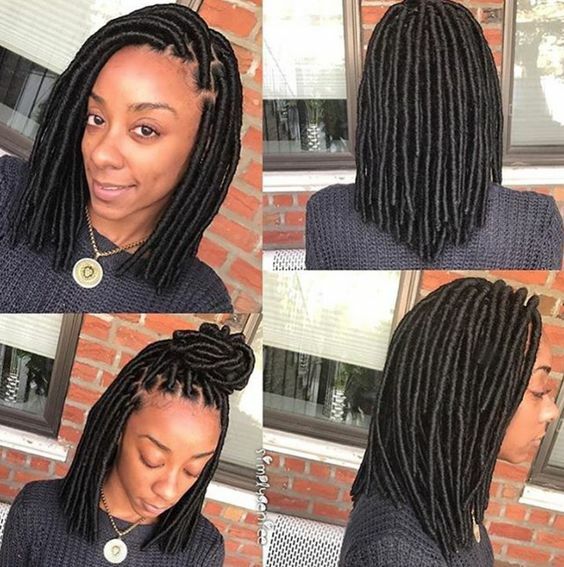 These sleek, shiny black faux locs fall right around the shoulders. 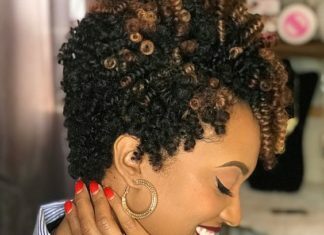 They are long enough to style in an updo but look just as gorgeous down. 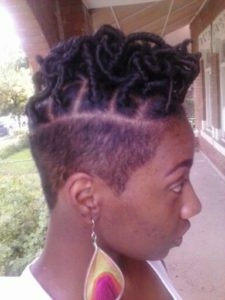 These short curly faux locs can be styled to show off the shaved sides of your head. It just goes to show that you can still have styling versatility while maintaining a partially shaved look. 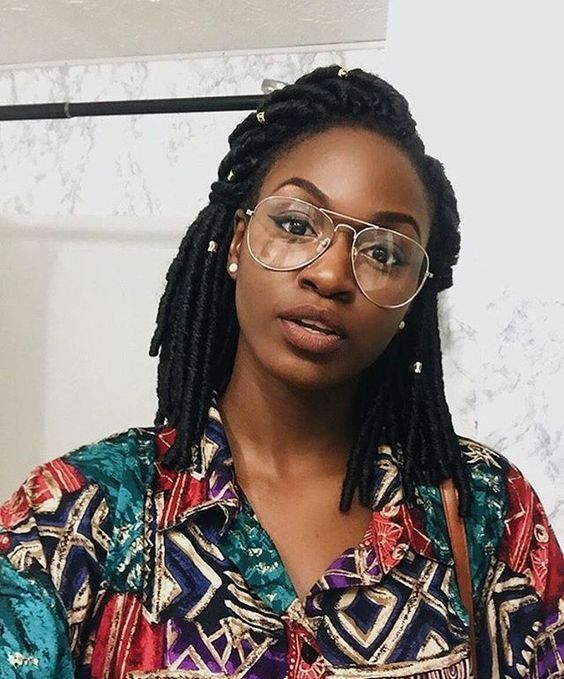 These shoulder length faux locs are pretty and chic. Two silver beads on either side add a touch of sparkle to this simple but beautiful style. 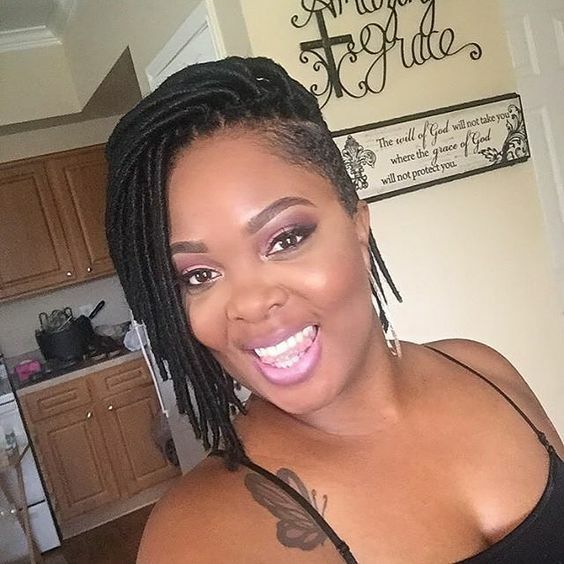 This half up half down look is a great way to show off these gorgeous bob length faux locs. This is a fun, easy way to style short faux locs. When it comes to short styles, you really can’t go wrong with a classic bob. It’s effortlessly chic and easy to maintain. 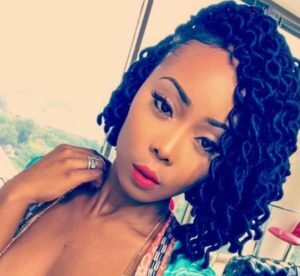 These lightly curled crochet faux locs look great in a partially side swept style that falls right around the shoulders. 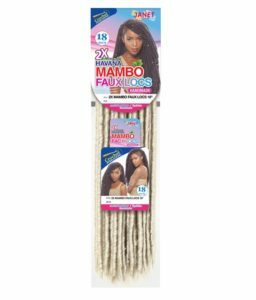 These gorgeous shoulder length crochet faux locs are slightly thicker than average and have an especially natural appearance. 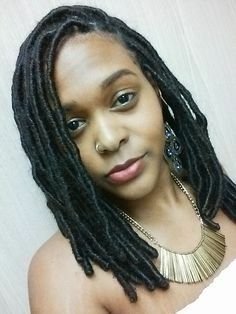 Gold beads help offset the rich dark color of the faux locs. 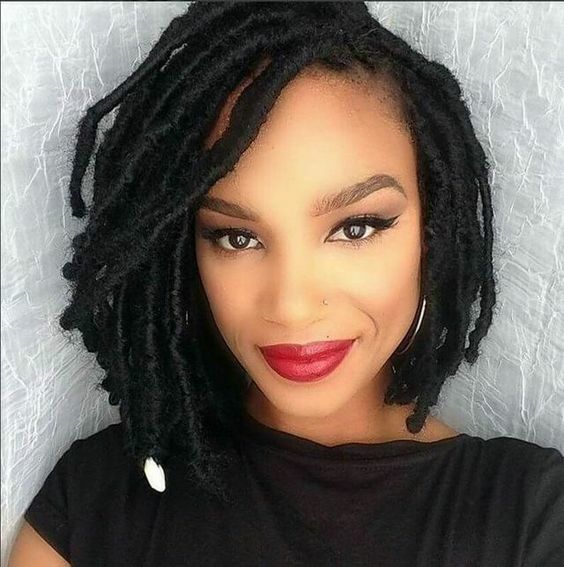 These slim goddess locs are styled into a pretty side swept ‘do that falls right above one shoulder. 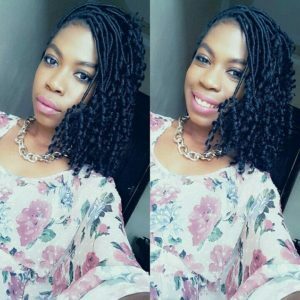 This is a simple, sophisticated style that is easy to achieve. 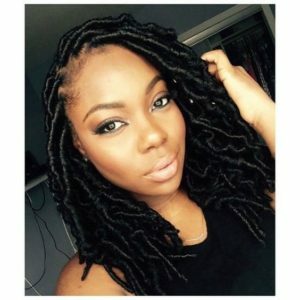 These shoulder length faux locs are styled into a half up half down style. A touch of red on the locs in the middle create a nice color contrast. These pretty, shoulder length crochet faux locs are styled with a simple side part and embellished with silver beads. 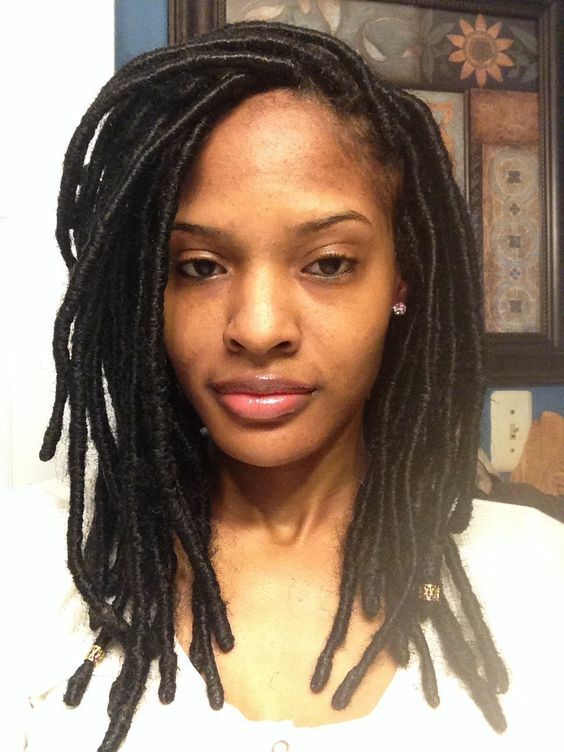 These simple faux locs with Marley hair and effortlessly styled with a side part. 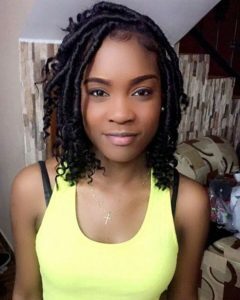 This long bob can also be styled into a bun or ponytail if you want to change up the look a little. Ultra long goddess locs (faux locs with loose, curly ends) have become more and more popular as of late, but these bob-length goddess locs are sure to turn just as many heads. These shoulder length faux locs are styled into a half up half down bun. 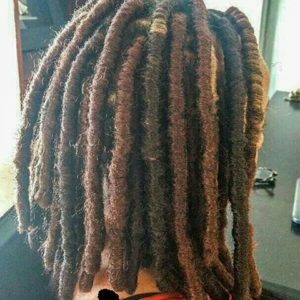 Wrap colored cord around one or two locs for extra flair. 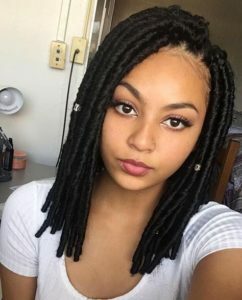 These pretty faux locs boast a subtle navy blue color, making them a great choice if you want an unique, understated color. 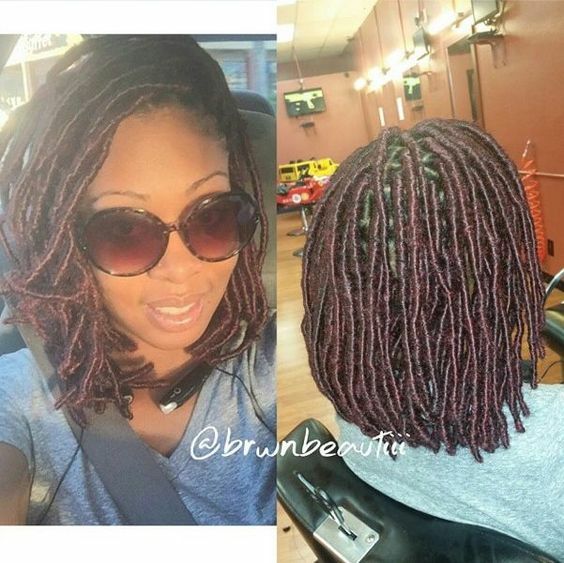 Gold beads adorn these bob length locs and help offset the color. 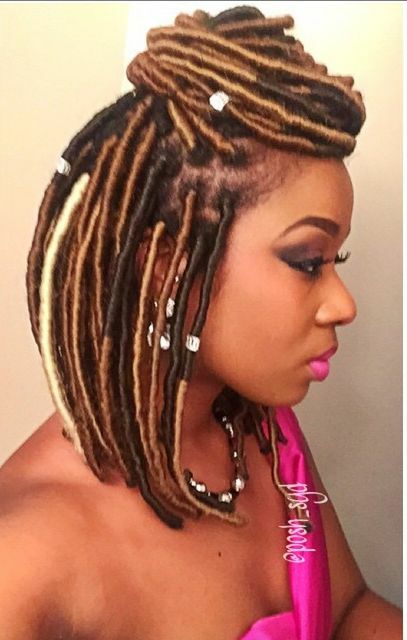 These pretty faux locs are arranged and styled to create a voluminous look. They are shiny and sleek in appearance and fall right at the shoulders. One easy way to style faux locs is to pin back the locs in the front. 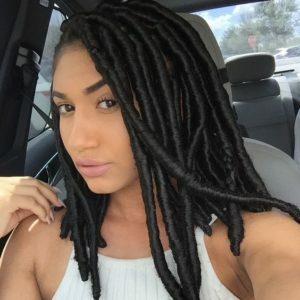 This look is great if you want to quickly change up your look or if you just want to keep your hair out of your face. These gorgeous faux locs are a great length, falling right below the shoulders. They look great styled into a simple but elegant side sweep. This look can easily be dressed up or down depending on the occasion. These short chunky faux locs have an extremely natural appearance which gets better the longer you wear them. Use more than one color to create the illusion of highlights. 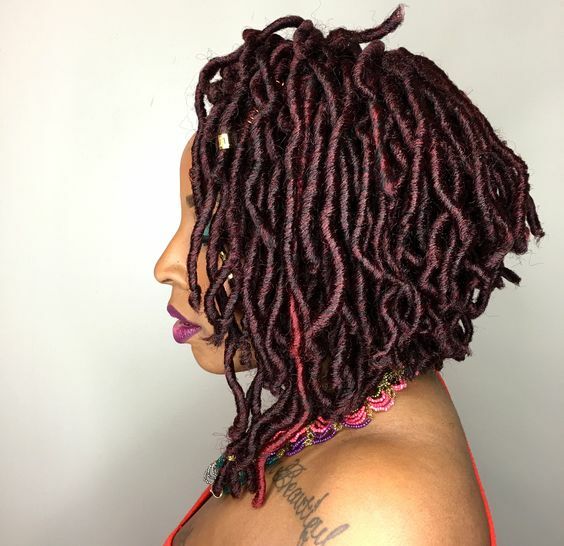 These gorgeous reddish faux locs are styled into a chic stacked bob (shorter in the back and longer in the front). 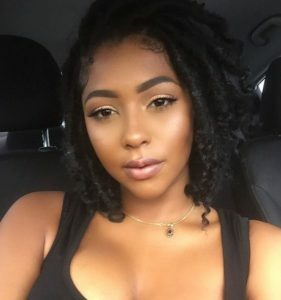 This is a great look for those who want to put a twist on the classic bob. 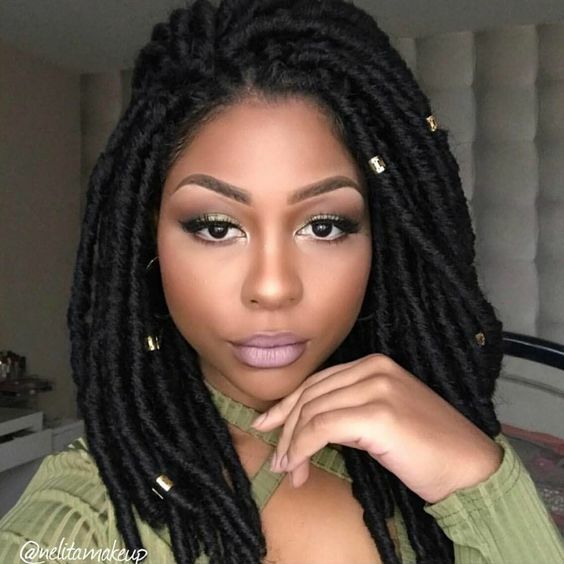 Embrace your natural grey color (or try it out temporarily) with these chic grey faux locs. 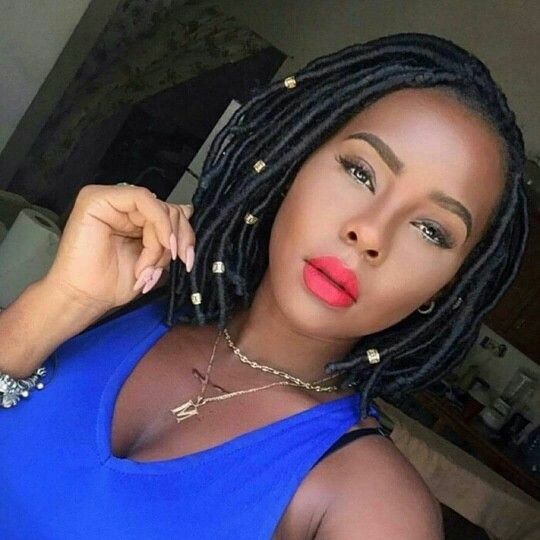 These collarbone-length locs have a classic but youthful look that is sure to turn heads. Purple is one of those colors that look great on just about everyone. These pretty purple faux locs are a great way to experiment with color. 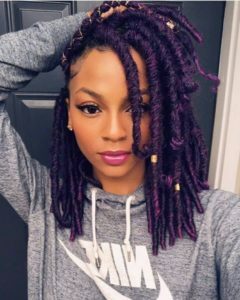 Even if you normally keep things conservative when it comes to your hair, you’re sure to fall in love with this dark but vibrant shade of purple. 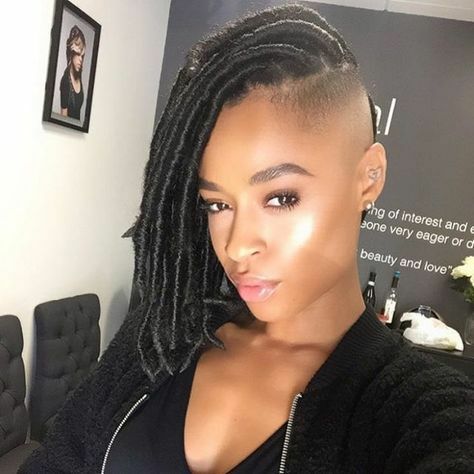 If you’re a fan of the undercut, then this faux locs style is right up your alley. 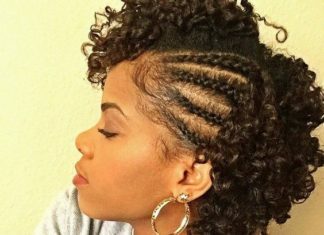 This is a great way to show off your shaved side while protecting the rest of your hair while it grows. If you’re looking for a cute, playful way to style your shoulder-length faux locs, try these half up half down double buns. It’s easy to do, and it’s a great way to keep your hair out of your face. 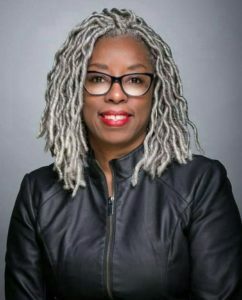 Getting a protective style is always a good opportunity to temporarily experiment with a new hair color. 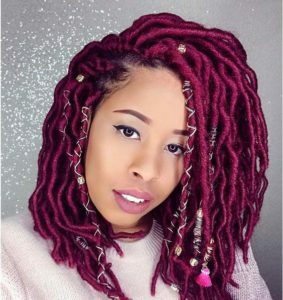 If you’ve been curious about trying a new hair color, these pretty red faux locs are a great choice. 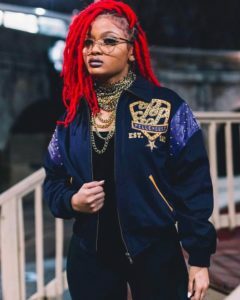 If you want a fun, chic faux locs style that shows off your undercut, look no further than these chin-length faux locs. 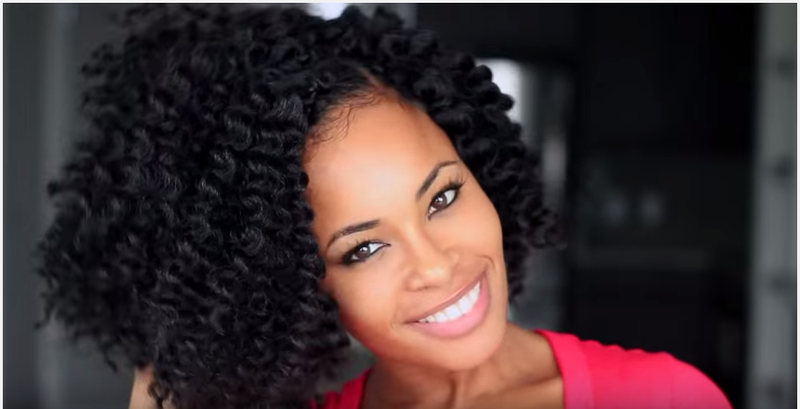 This a great, low-maintenance look that’s especially great for those hot summer months. If you want to put a spin on the classic bob, opt for an asymmetrical bob like this one. Just make the locs on one side a little longer than the other to create this simple but cute style. 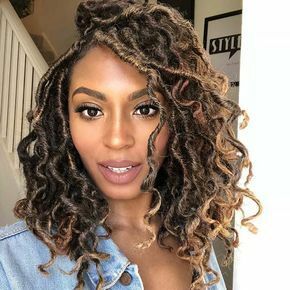 Hints of light brown in these dark brown faux locs give them a pretty, sun-kissed look that’s perfect for those warm summer months. 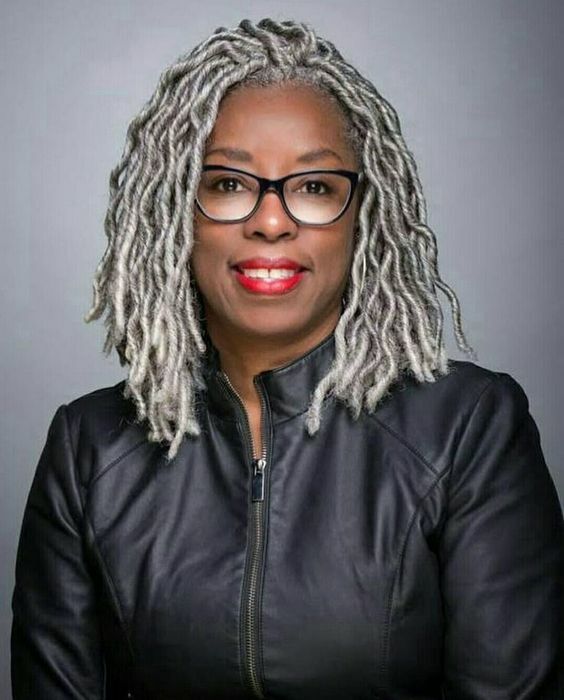 This style is a great choice if you prefer your faux locs smooth and shiny. 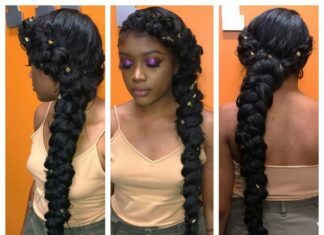 Use kanekalon hair to recreate this look. These shoulder-length purple goddess locs create an absolutely stunning look. 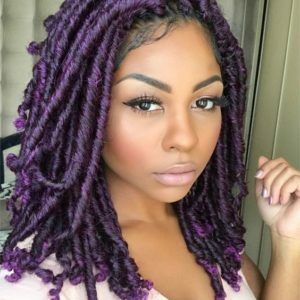 If purple is your color, then consider this shade for your next protective style. 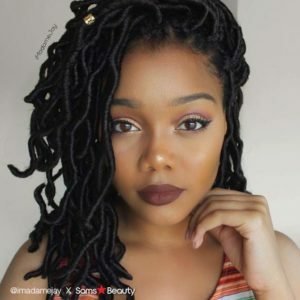 If you struggle with choosing between small and chunky faux locs, these medium-sized faux locs provide the best of both worlds. 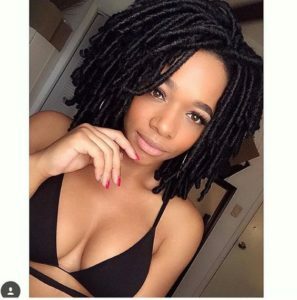 If you like the classic chin-length bob, these goddess locs are a great option. This length is flattering on many face shapes.